Goals: Custom design and build a business website to provide an online presence and publishing platform for this Queensland based Industry Association. 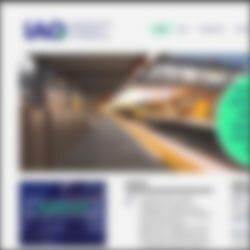 This was a “white labelled” web development project for a Brisbane based design agency. As such the website screenshot is blurred out for confidentiality. However, we can give some general details of the project, which was to redesign and rebuild the company website in order to provide the company with a platform to easily publish their industry news.